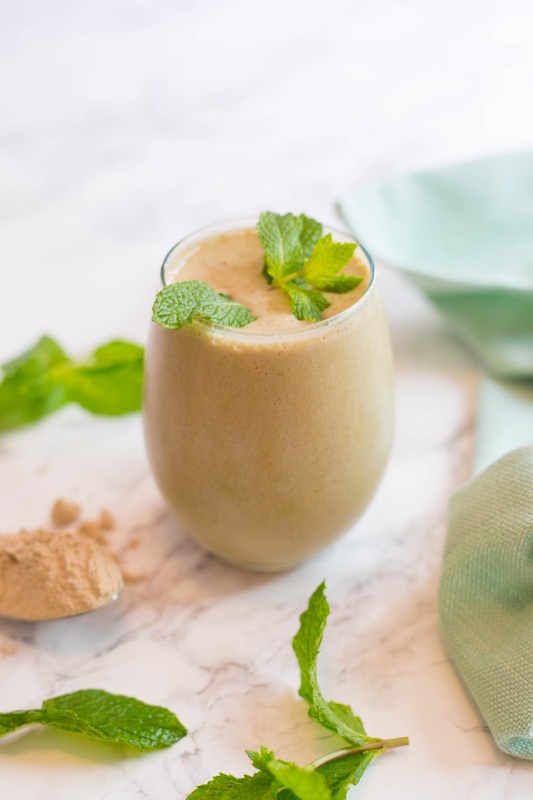 We love this smoothie because it tastes more like a milkshake than anything else. It's rich and creamy and super thick (if you don't love thick drinks as much as we do, you can make yours with less ice). 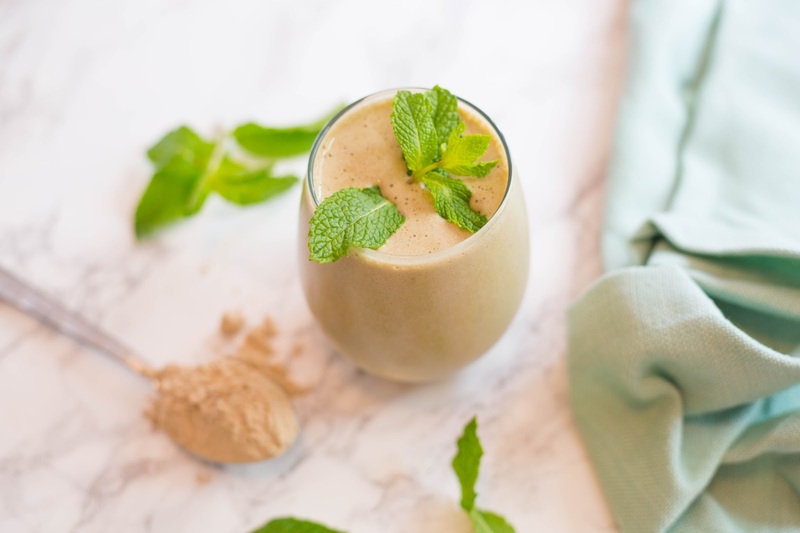 Even with its decadent taste, it still has all the health benefits of a smoothie - lots of protein, a whole banana, and even a serving size of spinach (that you can't taste at all). + We alway start by mixing our milk and protein powder first, and then add ingredients by thickness (easiest ingredient to blend goes in next). We finish off by adding ice cubes one by one while the blender is on until we reach desired thickness. +We've tried a few different protein powders and really like this one. 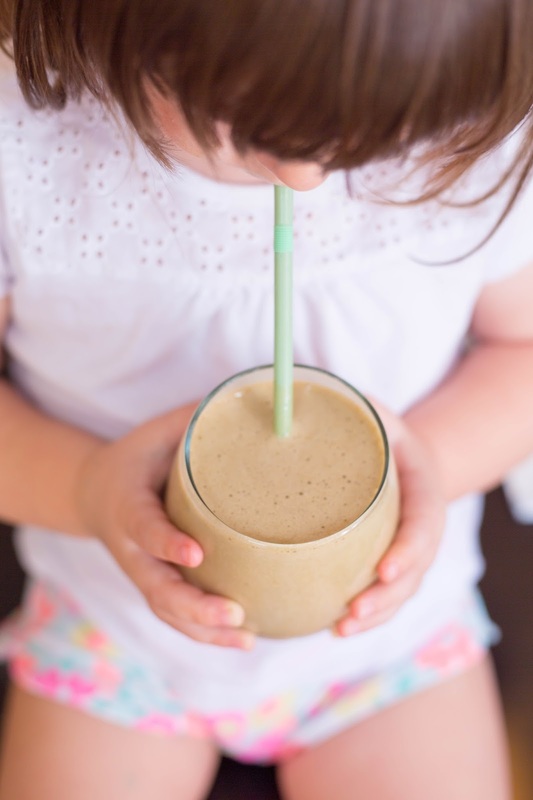 It's a rich, nourishing plant-based protein blend that's perfect for kids and adults. And so yummy too. + I've seen a lot of recipes online that use real fresh mint instead of mint extract. We tried it once, and it was still pretty good, but it tasted much.... healthier... than our version. Maybe you'll like it more than we did though! + Sometimes when we're feeling indulgent we'll throw in a few chocolate chips as well. Too many makes the smoothie too rich, but sometimes a few is a nice yummy touch. 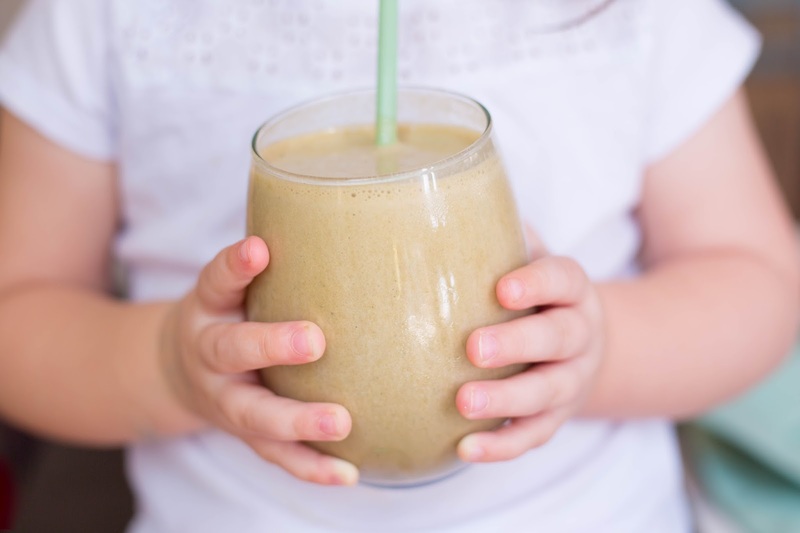 Thank you to OLLY Smoothies for sponsoring today's blog post. The opinions expressed here are all my own, as is my love for a daily morning smoothie. 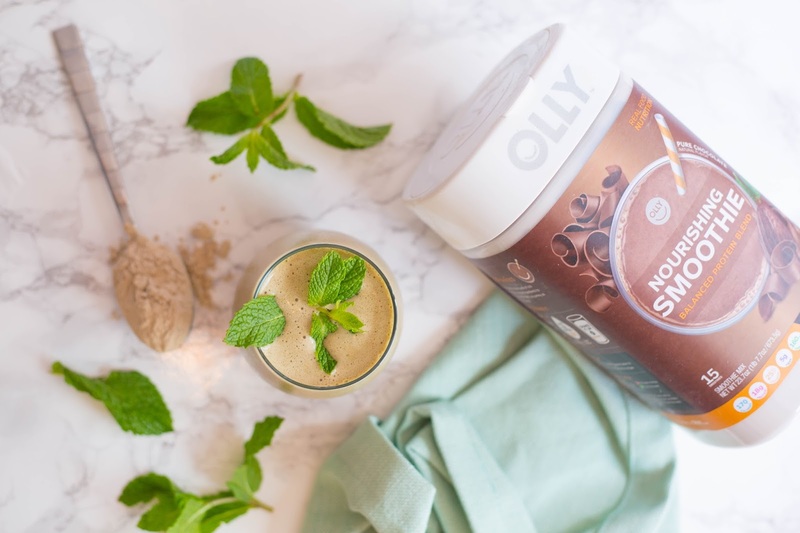 Interested in learning more about OLLY's super-powered, plant-based blends? Check out their website HERE or and then click HERE to enter to win a huge giveaway, and get a great OLLY coupon while you're at it.